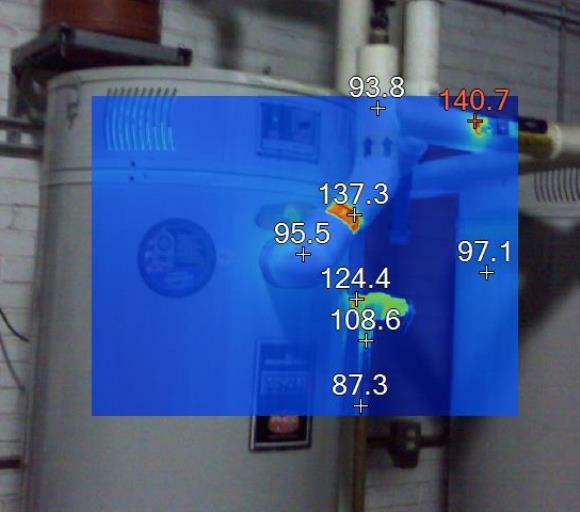 You are here: Home / FAQ's, Acronym’s, & Terminology / FAQ: Should I insulate my Water Heater? In short the answer is easy – no. 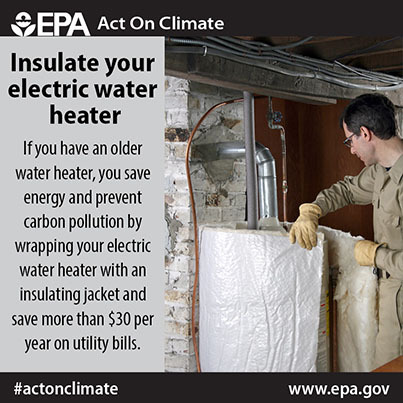 In fact if you look at the picture below (that was on the EPA’s page) you can see that it states “if you have an older water heater.” Hmmm does older mean one year, three years, five years and why not new ones? In this case older means at least 10+ years old (opinions vary but most say 2000 – 2004) based on how they used to be made & insulated. As for why not newer units, well the first issue is that the manufacturers will not warranty them or cover any issues as seen on this pdf from American Water Heater. The second & dare I say biggest issues I have seen falls under individuals covering access panels & or using an electric version on a gas heater & blocking the air flow required resulting in fires. Don’t know the age or the specs – well you can always pull it up using the AHRI directory. With that, if you place your hand on the side & it feels hotter than the wall, it is an older one & you might get some benefit from wrapping it. If it feels the same temperature then it is a newer one & adding insulation will not help. What happens if I have a 10+ year old water heater? Well let me congratulate you on having one that lasted that long & then strongly suggest you get a new more efficient unit before yours dies or springs a major leak probably at the most inopportune moment. Beyond that & if you do feel lucky – purchasing the blanket designed for your system & installing it properly can help you in some regards though actually getting $30 worth of savings a year is stretching it in many cases based on where it is located & use. Want to improve your water heaters performance? Make sure you maintain it properly: Basic Water Heater Maintenance – Draining the tank. We generally recommend you do this along with checking or replacing the anode rods in July. Fore more money saving tips & tricks we have quite a few articles out there including this one that has a tip for new standard electric water heaters. FAQ: What is a Construction Lawyer (and Why Should You Call One)?